As we grow up we stop looking at things through rose colored glasses. No longer do we think that we are indestructible and that everything will always be ok. Sadly, we know that sometimes things happen to good people. This is why, as adults we try to protect ourselves as best as we can in case that things go wrong, or just not exactly as they should. The number one way to protect yourself is through insurance, especially health insurance. When you have your health, you find that everything else becomes less overwhelming. If you do not have insurance with your employer, never fear, there are a number of different private health insurance companies. No one ever plans on becoming sick, which is why it is very important to be prepare in case you do. There are number of things that should be considered when buying health insurance. For example if you have a family you may be more inclined to buy insurance that will cover all of them. It is nice when all family members are covered by the insurance plan, as it lessens the headaches associated with paperwork and coordinating benefits. If you cannot understand your health insurance you will not use it. 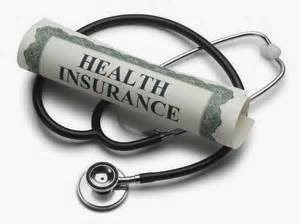 Second, it would be beneficial to decide what you would like to use your health insurance for. Will it be something that you will use in case of emergencies, when the cost of treatment is very expensive, or would you prefer to have the mundane day to day healthcare needs covered. Also consider what practitioners you would like your health insurance to cover. Traditionally most health insurance will cover doctor and hospital visits as well as most prescription medication. However, sometimes it takes a team of professionals to make you healthy. Some health insurance companies will cover services from a multitude of professionals such as physiotherapist, chiropractors, therapists, psychologists and dentists. Therefore if you think you will benefit from the services of any of these professionals, it may be a good idea to look for a plan that will cover at least a portion of these services. If protecting your health is important to you but you are worried about the costs, consider the fact that by protecting your health you are also protecting your finances. Health costs are the number one reason why people declare bankruptcy. Even something as simple as a broken bone can costs thousands of dollars, which if you do not have the proper savings, can cause you to fall in serious financial trouble, jeopardize your retirement, your kids education or even your home. Therefore, spending a few dollars a month, you can not only buy a piece of mind, but also protect your health as well as your future finances.